Do you need a Therapist or Coach? I’m a fully qualified and insured Quest Cognitive Hypnotherapist, Coach and Master NLP Practitioner. I trained with Trevor Silvester at the internationally acclaimed The Quest Institute, Regents University, London. Each year I complete CPD courses to help further my professional development which helps me bring the latest advances in this field to my work. 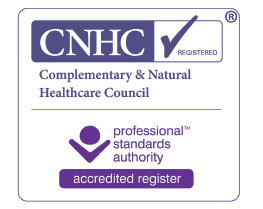 I graduated with the Hypnotherapy Practitioners Diploma (HPD) which is externally verified by the National Council of Hypnotherapy (NCH). As a Quest Cognitive Hypnotherapist I also have a Diploma in Cognitive Hypnotherapy (DipCHyp), a Master NLP Practitioners Certificate (MNLP) and a Project You Coaching Certificate. If you would like to verify my memberships and qualifications as a therapist and coach then please click on the links opposite. It is really important that you feel comfortable with whoever you work with so please contact at least two other therapists or coaches so you can be sure who is right for you. I am more than happy to have a FREE 20 minute telephone consultation with you to help you make that decision so why not give me a call now, you are under no obligation or if you would prefer you can get in touch with me on the contact form below. You can work with me either via online therapy or in person in Leamington Spa, Warwickshire. If you would like to book an appointment or would like to get to know me better then please do get in touch.